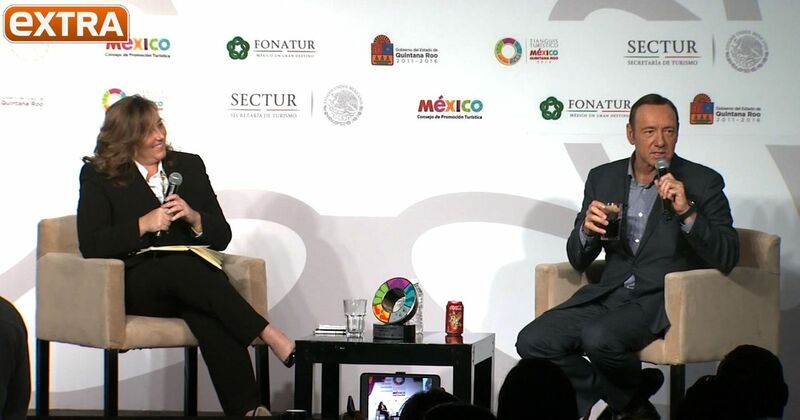 "House of Cards" star Kevin Spacey recently paid a visit to Mexico, where he was a special guest at the country's Tianguis Tourism Fair in Cancun. The actor got a chance to meet Mexico's President Enrique Peña Nieto, and give him a signed copy of "House of Cards," that read (SPOILER ALERT! ): "From one president to another." Kevin also teased the upcoming season of "House of Cards" at a Q&A.